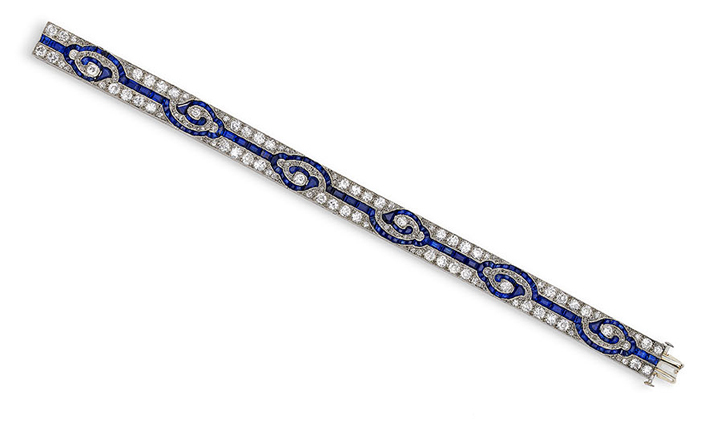 the articulated platinum bracelet decorated with stylised curls in calibre cut sapphires surrounded by brilliant cut diamonds. The distinctive shapes are redolent of representations of clouds or waves in Chinese art. Attributed to Mauboussin, Paris. circa 1920.